Once again, atmospheric conditions have been affecting reception of terrestrial TV and radio services, with high pressure and fog reported in many areas. Although reception of the main Freeview channels are normally OK where households are using the recommended local Freeview transmitter, reception of commercial and some HD channels are more likely to be affected by atmospheric conditions. 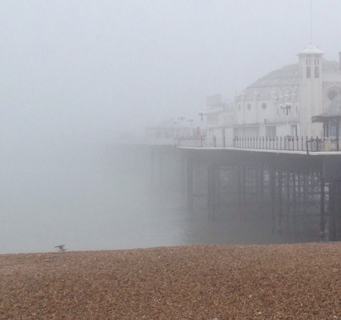 In some places radio reception on FM and DAB is affected. The weather pattern across the UK and Ireland over the weekend allowed TV and radio signals to travel further, interfering with services from local transmitters in what is known as co-channel interference. The atmospheric conditions are due to return to more normal levels across the UK after Monday, when reception conditions should revert to normal. Households that are frequently affected during high pressure weather conditions are advised to review their TV reception options, whereby it might be possible to receive TV from another transmitter or a different TV platform. 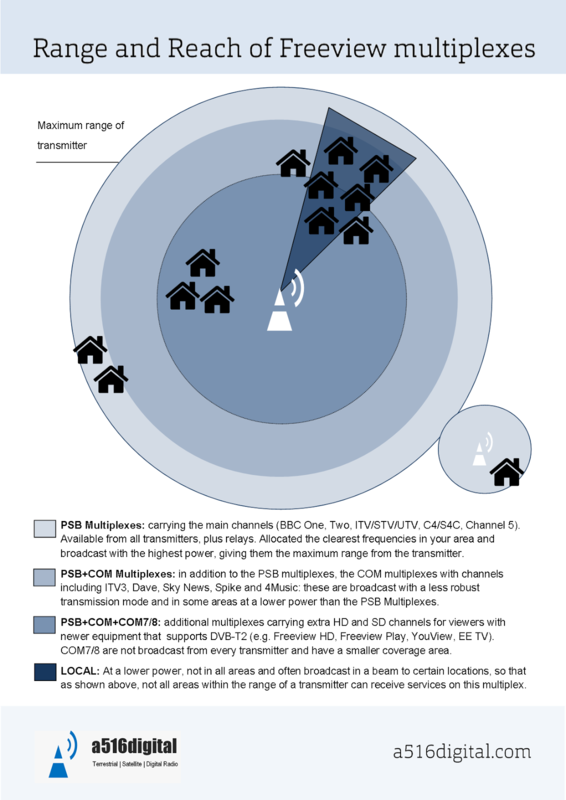 The main channels from the BBC, ITV, Channel 4 and Channel 5 are allocated the clearest Freeview frequencies in each area, whereas the frequencies used for other services are more prone to interference, thanks to transmission modes used or lower power broadcasts. Particular prone are some of the HD channels such as BBC Four HD and 4seven HD that are broadcast a low power to around three quarters of the UK. A number of additional transmitters were put into service across parts of the south and east coast at digital switchover to improve reception, but households in these areas may have not moved to these new transmitters, or want to preserve a wider range of Freeview channels that are not carried on these new transmitter sites. Viewers receiving their TV signal from the Isle of Wight's Rowridge transmitter can also have their aerials turned to vertical polarisation to reduce the risk of incoming interference from other (horizontally polarised) transmitters using the same frequencies.